Virgin Mobile, America’s favorite mobile phone carrier has announced the release of a new mobile application in the Android Market. Tagged as Virgin Mobile Live 2.0, the app is company’s next generation social networking music application. Apart from streaming, some of the best music and videos, the app comes powered with the option to “check-in” at events and performances, publishing updates from the world of Twitter and Facebook. Virgin’s app is available for download via the Android Market, giving users the access to access live and recorded content. 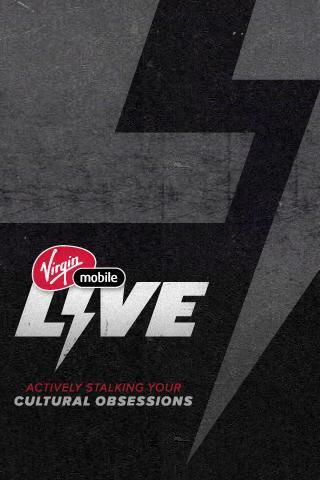 Furthermore, users would be able to witness live performances from Virgin Mobile’s “LIVE HOUSE”, to be made available next week on phones that have the app installed on them. Music has always been at the core of Virgin Mobile’s DNA. And given our fans’ addictive nature to discover and share new music, we wanted to make sure they had access to the hottest new bands right at their fingertips. We’re especially thrilled to invite non-customers to this experience so they can see what our brand is all about.